The Larchmont end-unit townhouse located in The Hills of Basking Ridge is a lovely property featuring 3 bedrooms, 2 and a half baths, and fabulous updates at every turn. 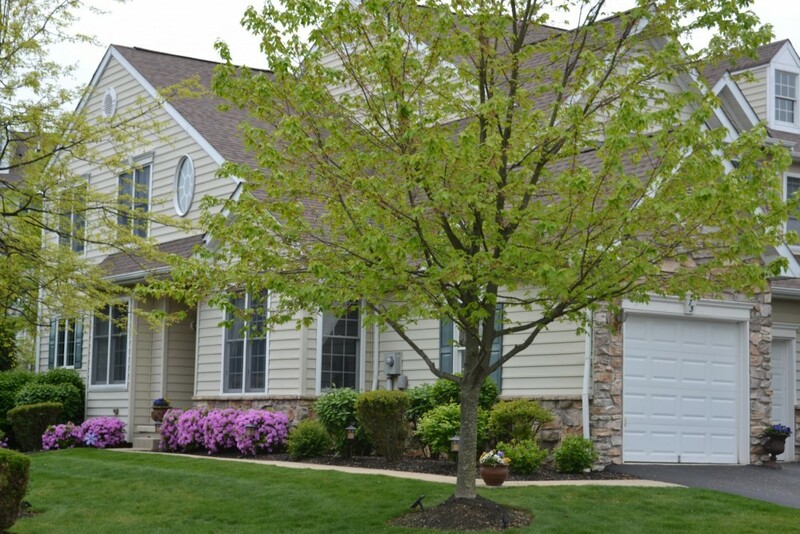 On the first floor you will find an open floor plan which makes entertaining a delight. Upon entering the home you will find yourself in view of the large family room with cathedral ceilings and abundant light. The dining room and living rooms to the left feature gleaming hardwood floors. The dining room is enhanced with extensive moldings, a tray ceiling, and updated lighting fixtures while the living room focal point is its gas fireplace with marble surround and upgraded mantle. The kitchen is sensational and updated with a designers eye and attention to detail. There you will find a winning combination of dark cherry cabinetry accented by light granite counters with flecks of ebony to accent the appliances and wood blinds. The neutral harlequin backsplash is nicely highlighted by under mount cabinet lighting. The elevation of this unit allows you to easily work the kitchen while simultaneously enjoying the benefits of the oversized grill just outside. Dining al fresco is simple and easy in this private, maturely landscaped area. 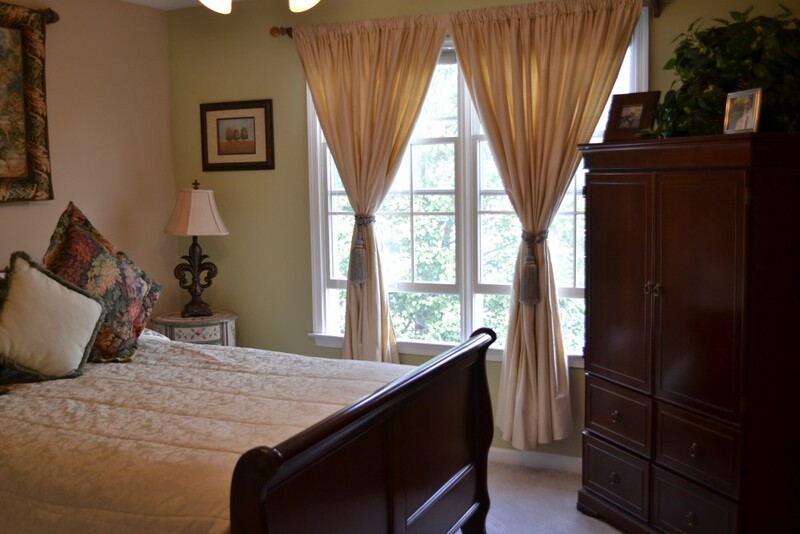 On the second floor you will find neutral carpet throughout, along with custom storage solutions in each bedroom. The main hall bath shared by two of the bedrooms features pristine, neutral tile and vanity. 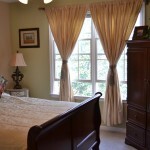 The master bedroom is highlights include a vaulted ceiling, walk-in closet and spa-like master bathroom. There you will find upgraded neutral tile throughout, a stall shower, separate Jacuzzi tub and double vanities. The finished lower level is another lovely facet of this home. There, you will find a home office, large rec room, home gym and abundant storage. Again, attention to detail can be noted at every turn. French doors throughout the space allow light to pass through each of the 3 main areas while beautiful flooring serves as the foundation for this casual living space. This property epitomized the term ‘turn-key’. Located a short walk to the Highlands Village center for all of your everyday conveniences, this particular unit also has a 2-car garage, significant storage and is located right next to guest parking. You’ll appreciate that when all of your friends and family come to see your beautiful new home at 73 Patriot Hill Drive.